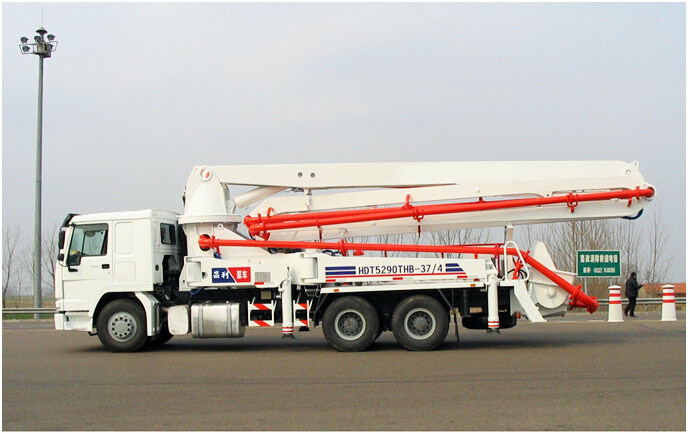 Boom concrete pump refers to a large scale concrete pump based on a track. 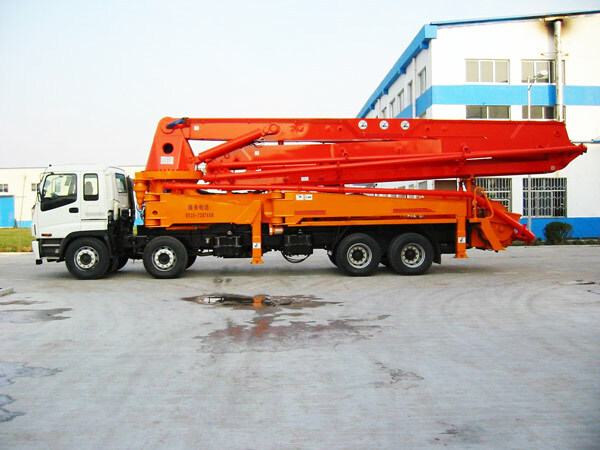 It is composed of chassis part, boom system, pumping system, hydraulic system and electronic control system. Speaking of its function, workers can drive it on the roads conveniently. In addition, it gathers the function of pumping and conveying together. Because it can convey concrete by its own boom instead of setting concrete pipelines. That means that you don’t need to set numerous pipes in advance, which great cut down the labor cost. Compared with other pump, boom concrete pump has some unique advantages. 1. It owns a boom for cloth, thus the prepare time is short. 2. Its pumping speed is quicker. 3. 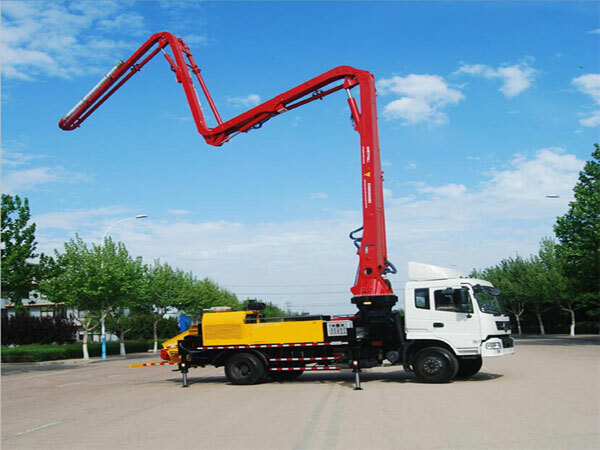 With highly automation, concrete boom pump can be operated by one person. And its operation method is easy to be mastered. 4. It can reach high utilization of equipment because of its good motor performance. Last but not least, we can offer you a reasonable concrete pump price, looking forward to your inquiry. We will be always online.